Amir Mostafavi represents clients in litigation and arbitration involving a wide range of civil matters. His experience includes federal and state court litigation, with a focus on Complex Class Actions, High-Profile Cases and Trial Practices. Mr. Mostafavi represents employee-clients in their employment related matters involving racial, sexual, gender, disability, pregnancy, and other types of discrimination and harassment, as well as disputes involving wage and hour claims, family and medical leave, and all other types of wrongful termination and disputes affecting client’s employment relationships. Mr. Mostafavi counsels employer-clients on compliance with laws in the areas of hiring, promotion, discipline, termination, compensation, harassment, substance abuse, wage and hour, affirmative action, and independent contractor arrangements. He assists with periodic reviews of policies and practices to assure compliance with changing laws. He also provides training on a wide range of subjects, including maintaining a workplace free of harassment and discrimination, and effective hiring and discipline. He also defends employer-clients in Action brought against them by their employees. Mr. Mostafavi defends attorney-clients in the Legal Malpractice Actions brought against them by their current and former clients. 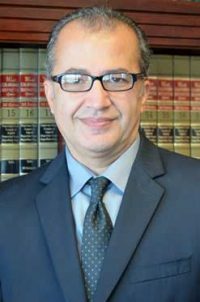 Mr. Mostafavi represents attorney-clients before the State Bar of California in disciplinary proceedings involving allegations of violation of California professional Rule of Conduct. Mr. Mostafavi also provides advice, consultations, and representations to Admission Applicants to the State Bar of California regarding their Moral Character Application.